Using either the 3 x 3 or 4 x 4 Ruler Revolution Snowball rulers, strip sets are snowballed, cut into quarters, and arranged into your favorite zig-zag design. 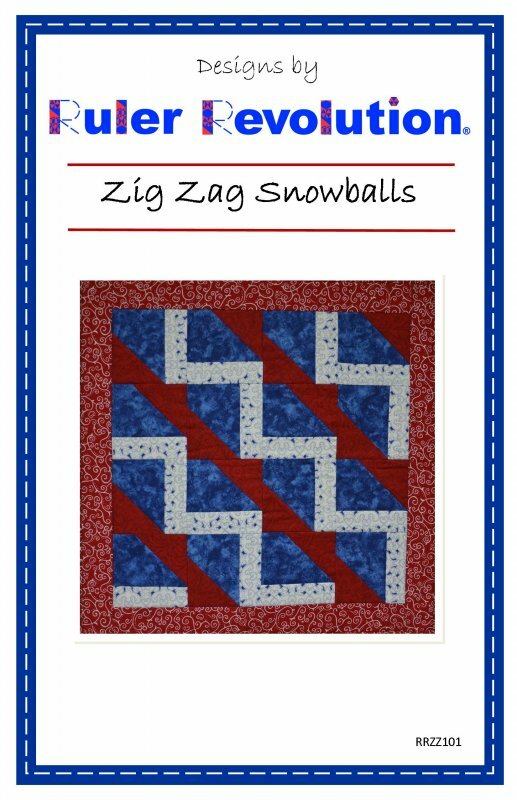 This pattern includes five different designs that can be easily obtained by cutting finished Snowball blocks into quarters and then turning the quarters and sewing them back together. Follow this simple technique to piece this unique design in an afternoon. You can make this pattern as large as desired by simply making more blocks and arranging as desired.